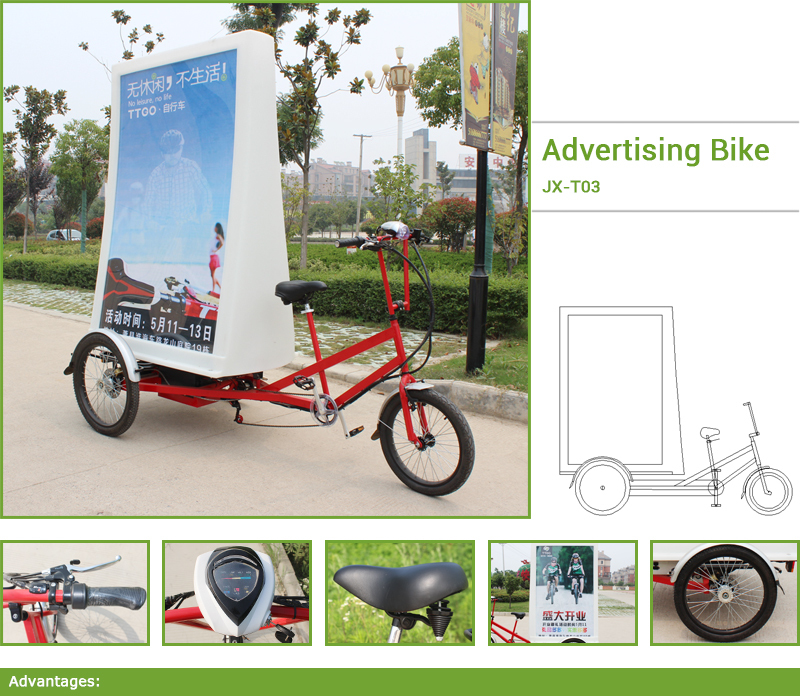 Jxcycle electric advertising bike billboard is a new generation of advertising, instead of a fixed point before propaganda. 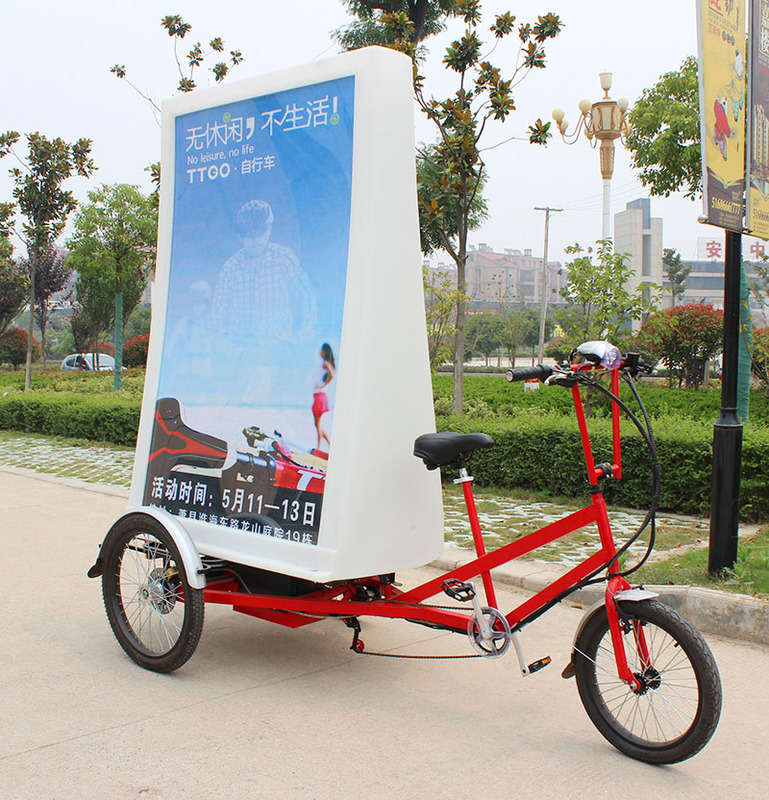 Electric advertising bike billboard can at any time any place to publicity. 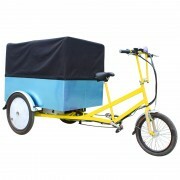 Category: Other. 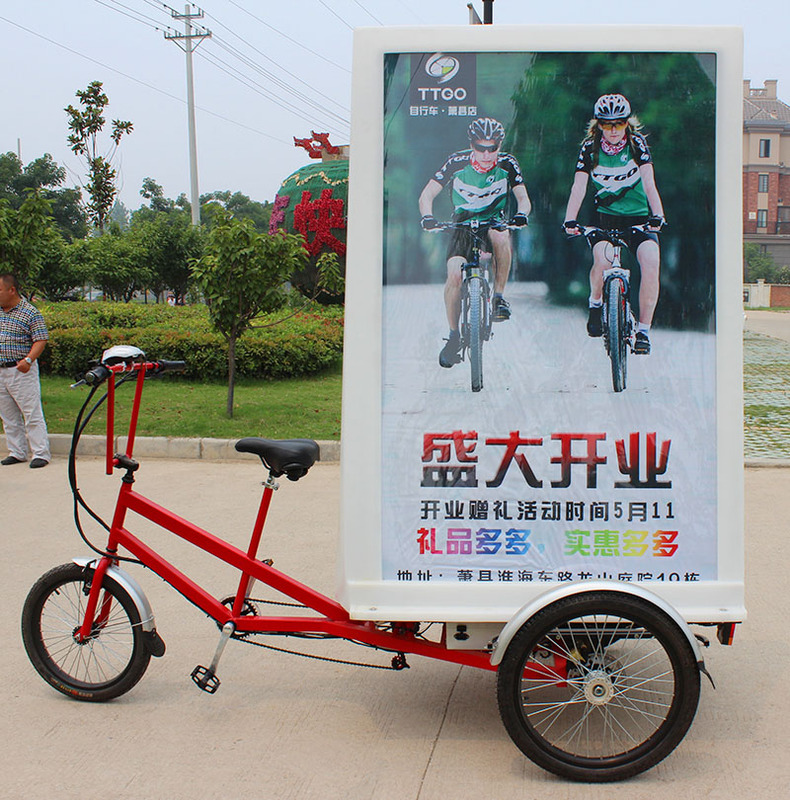 Tags: advertising billboard bicycle, advertising billboard bicycle for sale, mobile electric advertising bicycle billboard, the new advertising billboard bicycle. 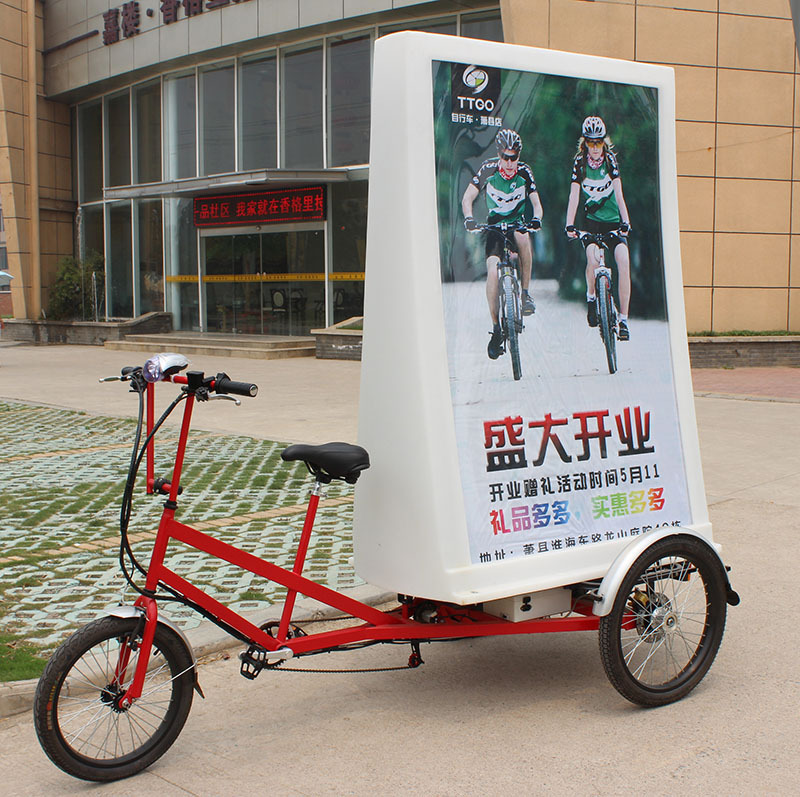 1.Mobile billboard is easy to look at and read in the crowd of the people. 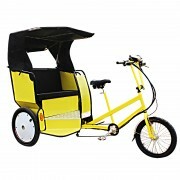 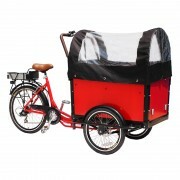 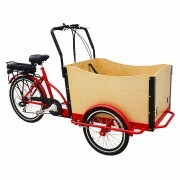 3.It gives an oppprtunity for a direct contact with your customers.In crowdy places the biker rides slowly. 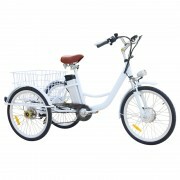 4.It works when you go shopping or are on the way to work.Each ride comes with a gain. 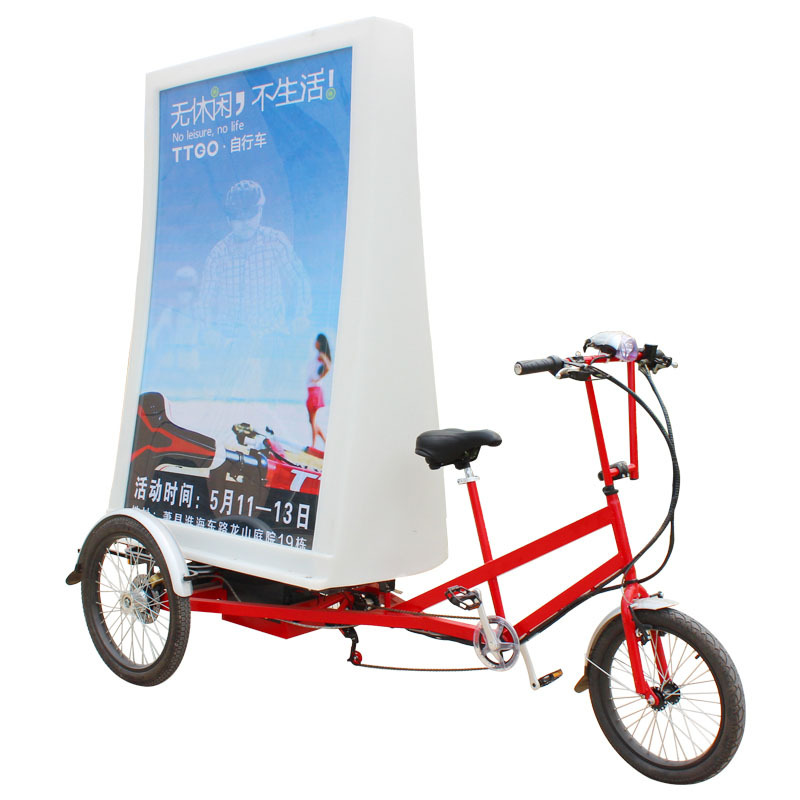 5.Mobile billboard can work even when rider takes a rest in front of your company or shop. 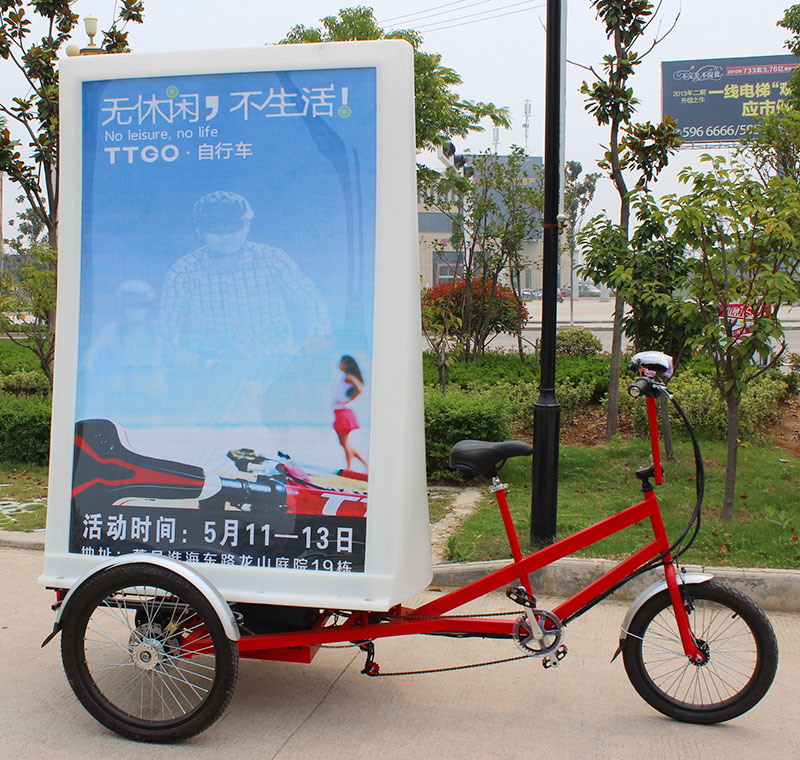 6.It is very easy to transport and you can start your outdoor advertising very quickly.